Excludes taxes, title, and license. Subject to availability for well-qualified customers through Nissan Motor Acceptance Corporation. All Incentives , rebates, retained by dealer. Some incentives may need qualification. Dealer contribution may affect actual price set by dealer. Must take delivery from new dealer stock. See participating dealer for details. Offer ends 04/30/2019. Excludes taxes, title, and license. $3,299 initial payment required at consummation. (Includes $4,500 consumer down payment, $199 first month payment.) (INCLUDES $1,200 manufacturer's rebate applied to $199/Month lease. Offer valid only when financed through Nissan Motor Acceptance Corporation.) Subject to residency restrictions. 2019 Rogue S AWD with Splash Guards, Floor Mats and Cargo Area Protector Lease model 22019 subject to availability to well-qualified lessees through Nissan Motor Acceptance Corporation. $27,765 MSRP incl. destination charge. Net capitalized cost of $21,471 includes a $595 non-refundable acquisition fee. Dealer contribution may affect actual price set by dealer. Monthly payments total $7,164 At lease end, purchase for $14,438, plus purchase option fee up to $300 (except KS & WI), plus tax, or pay excess wear & use plus $0.15 per mile for mileage over 12,000 miles per year. Lessee is responsible for maintenance and repairs. A disposition fee is due at termination of lease term. No security deposit required. Must take delivery from new dealer stock. See participating dealer for details. Offer ends 04/30/2019. Excludes taxes, title, and license. $3,999 initial payment required at consummation. (Includes $3,850 consumer down payment, $149 first month payment.) (INCLUDES $875 manufacturer's rebate applied to $149/Month lease. Offer valid only when financed through Nissan Motor Acceptance Corporation.) Subject to residency restrictions. 2019 Sentra SV Splash & Mats Lease model 12119 subject to availability to well-qualified lessees through Nissan Motor Acceptance Corporation. $20,390 MSRP incl. destination charge. Net capitalized cost of $15,737 includes a $595 non-refundable acquisition fee. Dealer contribution may affect actual price set by dealer. Monthly payments total $5,364 At lease end, purchase for $10,399, plus purchase option fee up to $300 (except KS & WI), plus tax, or pay excess wear & use plus $0.15 per mile for mileage over 12,000 miles per year. Lessee is responsible for maintenance and repairs. A disposition fee is due at termination of lease term. No security deposit required. Must take delivery from new dealer stock. See participating dealer for details. Offer ends 04/30/2019. Tim Dahle Nissan Murray's prepared experts will analyze and repair your auto effectively on their first try. Any make, model, and bodystyle you could be looking for is available in our pre-owned inventory. We got the best deal on Nissan maxima 2017. Good customer service too. Me encanta, es un lugar muy agradable la atención es lo máximo y sus carro son hermoso, con buen plan para pagar mil gracias muy agradecida con ustedes y satisfecha!!!! Came in to trade my vehicle for a new SUV and Luis Garcia was able to help me find exactly what I was looking for. It was no hassle at all, which I greatly appreciated. While we did not purchase a car from here they were extremely helpful and attended us will. We recommend working with Carlos! He was great! Can't complain about the free soda and popcorn while rapid charging your Leaf for free. Today was weird though. Big truck parked right in-front of the CHADEMO charger. It has never happened before and lets hope it doesn't happen again. 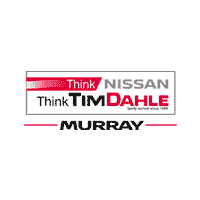 Tim Dahle Nissan Murray is committed to providing the high level of customer service that all Salt Lake City, Utah auto shoppers deserve, so don’t hesitate to visit our new and used dealership in Murray for professional trade-in, finance or maintenance assistance. We’ve established a reputation as being a trusted Nissan resource ever since opening back in 1968, and we invite all drivers in the area that are considering purchasing a new Nissan Rogue to visit our dealership for the pressure-free process that they deserve! If you’re looking for new cars for sale near West Valley City, UT, don’t hesitate to visit Tim Dahle Nissan Murray today. We have high-tech, competitively priced new Nissan vehicle options for drivers of all backgrounds, including first-time buyers. Shop our Nissan Titan inventory if you’re looking for a ride that can keep up with your adventurous personality, explore the Altima if you’re in need of a practical family sedan or check out the Sentra if you’re looking for a reliable vehicle that can help you enjoy retirement. Our sales department is well versed on the entire Nissan lineup and will help you find the trim that suits you! In addition to pre-owned Nissan models and used cars for sale from a variety of brands, Tim Dahle Nissan Murray boasts a range of Certified Pre-Owned Nissan vehicles. Visit us in Murray, UT to learn about the reconditioning process these models must complete and be sure to ask about how you can sell us your vehicle and upgrade to one of our used Nissan options. To help get your search for previously owned vehicles started, we’ve made our entire inventory available online! As your local Nissan dealer, we’re committed to giving our customers the automotive experiences that they deserve. We offer professional financing assistance so that motorists of all backgrounds can take a reliable ride home today. We invite you to contact our new and used dealership’s finance department to learn more. Whether you’re interested in sub-prime credit score financing, competitive terms for your healthy credit rating or are a buyer that has yet to establish credit, our Nissan finance center is here for you. Protect the performance of your Pathfinder, visit our Nissan service department when the time comes for maintenance work. We’ve made a number of service specials available online and even have a convenient scheduling form that makes it easy to get your Nissan 370Z booked for auto care with our Nissan Master Certified technicians. Interested in completing auto services from your West Valley City, Utah home? Our parts department will introduce you to all the genuine products you’ll need to complete the work safely! When our Nissan dealership is not introducing drivers to the latest LEAF model to the hit the market or helping motorists value their trade-in, we’re sponsoring and supporting local community events. We’re dedicated to assisting the communities we serve in a variety of ways, like sponsoring Toys for Tots events, helping with the Utah Food Bank and working with the Salt Lake City Mission. We look forward to seeing you soon at Tim Dahle Nissan Murray in Murray, UT or at one of the many events we sponsor!